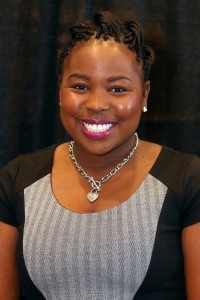 The National Association of Black Journalists (NABJ) is proud to announce the selection of Tierra Smith of Grambling State University as the association’s 2015 Student Journalist of the Year. The award recognizes a full-time collegiate journalist who displays a commitment to NABJ’s goal of outstanding achievement within the field of journalism. It isn’t often that a historically Black college or university has a campus newspaper willing to dig deeply – even when a powerful administration is watching and questioning nearly every move. It’s with this approach that Smith has led the campus newspaper with tenacity comparable to some of the nation’s top editors, just on a college campus. Under her leadership, The Gramblinite, GSU’ s campus newspaper, has been diligent in holding GSU’s administration accountable, from questions on salaries of top administrators, to spending, and lack of resources for the school’s football program, Smith has continuously been unafraid to ask the hard questions. A native of Milwaukee, Smith became fascinated with the media when she was accidentally enrolled in a journalism course at her high school in Houston. “If they never put me in that class, I would have never been exposed to journalism,” Smith said, in a piece written last year for The New York Times Student Journalism Institute. She was a 2014 participant in The Times program at Dillard University and she was a 2014 student journalist with the NABJ Student Multimedia Projects. Her high school journalism teacher was going to remove her from the class because she did not have the necessary prerequisites, but she saw her passion and decided to let her stay. A few months into the class, Smith was named an editor of the high school’s newspaper and yearbook. Now a graduating senior, Smith, 22, is majoring in mass communications with a concentration in sports journalism. Smith was also a participant in the 2014 Class of the Sports Journalism Institute, a program geared toward creating a pipeline of more women and minorities in sports journalism. Additionally, Smith was the recipient of the 2014 NABJ Sports Task Force, Larry Whiteside Scholarship. Smith is a talented student journalist, and a strong NABJ student member. She’s been a part of NABJ since 2012, attending three national conventions, a regional conference and restarting the GSU student chapter as founding president. She has grown her chops at Grambling State along with internships at Gannett’s The News-Star and the Gannett Content Production Center in Monroe, Louisiana. In Summer 2014, she was a sports intern at the Salt Lake Tribune in Utah. Smith was most recently named a Dow Jones News Fund business reporting intern for Summer 2015. She will be working for NABJ’s Greg Moore at the Denver Post. She also has an active role in the GSU chapter of Delta Sigma Theta Sorority Inc., and she maintains a 3.6 GPA. Smith will start the next chapter of her journey as a graduate student at Louisiana State University this Fall. Smith will be honored along with other honorees at NABJ’s Annual Convention and Career Fair this summer in Minneapolis. ← Baton Rouge, how would you spend these funds?